It was early autumn in Imola, Italy, and Robert Vaden had just arrived at the place he would call home for the next several months. Vaden was dropped off at his living quarters with the key to his apartment, his luggage and little else. Being that this was Vaden’s first time in Italy, he wasn’t familiar with anything, least of all the safety lock system. And to hear him tell it, it was that darned lock system that kept him from getting some decent sleep that night. Vaden approached the door, put the key inside the lock, turned it and – snap. The key broke. He didn’t have a cell phone and couldn’t speak a lick of the local dialect. Chalk it up to one of those lost-in-translation moments. Vaden had his mother, Cathy, live with him for the first few months in the small province of Bologna, just so he could get acclimated to a new country and culture. But on the court, playing for Aget Imola of LegADue, the second-highest division of professional basketball in Italy, Vaden was anything but lost. He averaged 16.9 points, 3.6 rebounds, 1.9 assists and 1.8 steals while shooting 40 percent from behind the 3-point line, where he carved himself a niche in college. Now back in the states, Vaden, whom the Thunder acquired from the Charlotte Bobcats in last year’s draft, wants to show what the time overseas has done for his game. “It was extra motivation just to come back here and show guys I’ve worked hard,” he said. Vaden split his college career at Indiana University, where he was a teammate of Thunder forward D.J. White, and the University of Alabama-Birmingham, where he set a single-season school record for points (695), and 3-pointers made (142) and attempted (355) as a junior. After a senior season in which his scoring dipped to 17.6 points per game and 34.6 percent shooting from 3-point range, Vaden wasn’t even sure he’d be drafted. That the Bobcats picked him with the No. 54 pick was a surprise. When the Thunder acquired him moments later he was ecstatic. 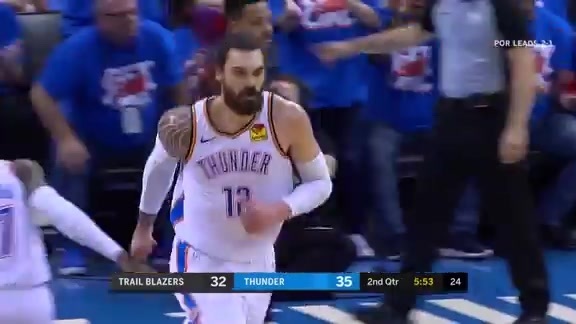 Vaden played on the Thunder’s summer league rosters in Orlando and Las Vegas, and when the team didn’t sign him to a contract he and his agent weighed his options overseas. Vaden said that Italy made the most sense for him both professionally and financially. A delay on his work visa and an ensuing injury didn’t allow him to start the season on schedule, but Vaden made up for lost time the moment he stepped foot on the court in mid-October. He scored 15 points on 5-for-9 shooting from behind the arc in his debut against Banco Sardegna, a 73-72 victory on Oct. 11. Vaden said the biggest adjustment he had to make on the court was on the defensive end, where he said he couldn’t be as physical. Offensively, he had to be mindful of the way he made his first step. 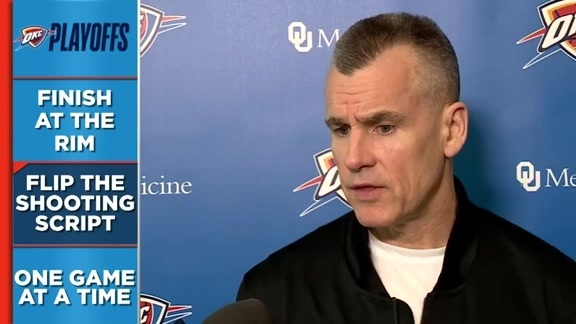 Vaden said he stayed in contact with the Thunder mostly through email, catching up with Executive Vice President and General Manager Sam Presti and Director of College and International Player Personnel Rob Hennigan, who caught one of Vaden’s games in person. Aget Imola played every Sunday, had Mondays off and practiced twice a day on Tuesdays and Thursdays, so Vaden ended up doing a lot of work on his own. He compared rival gyms to those you’d find at the high school level – small. The province of Imola was small, too. 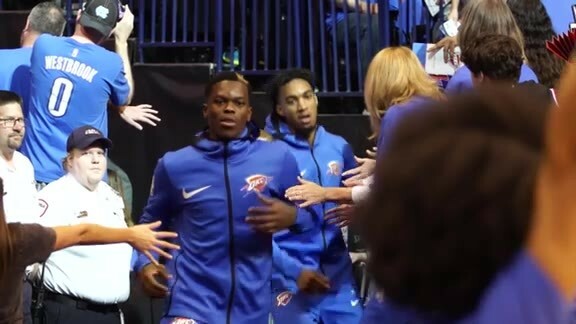 Now in Oklahoma City, Vaden has been practicing with members of the Thunder basketball operations staff as well as several Tulsa 66ers players, working out twice a day, four days a week in preparation for the Orlando Pro Summer League in early July.